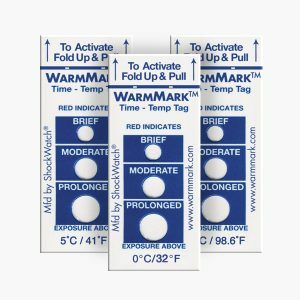 The Healthcare Coldchain Complete card combines the WarmMark and Cold Mark temperature indicator and provides a solution for temperature breach monitoring. The Healthcare Cold Chain Complete card is a multipoint temperature indicator combining the WarmMark and Cold Mark temperature indicators. 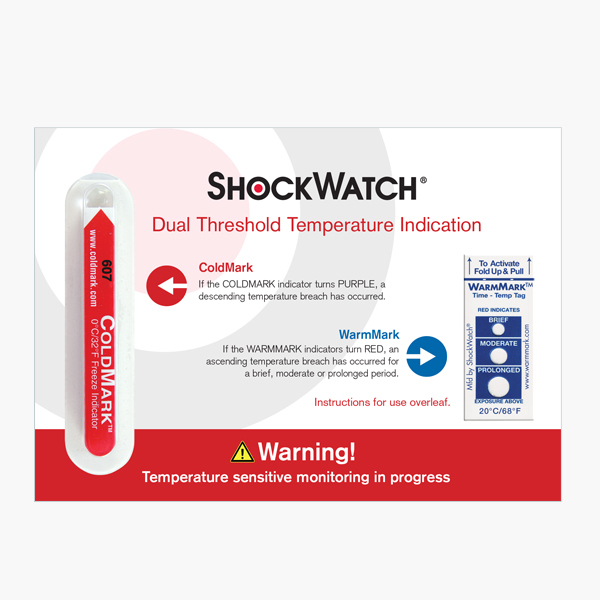 The Healthcare Cold Chain Complete card includes two indicators; the ShockWatch ColdMark and ShockWatch WarmMark. 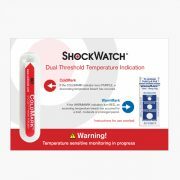 The combination of the two indicators specifically assists Healthcare professionals in identifying temperature breach within areas such as blood storage refrigeration units (+2C to +8C), in transit or in buildings. ColdMark – visual, irreversible clear to purple colour change in activation window. See below for specific temperature range. WarmMark – Visual, irreversible white to red colour change in activation window. See below for specific temperature range. 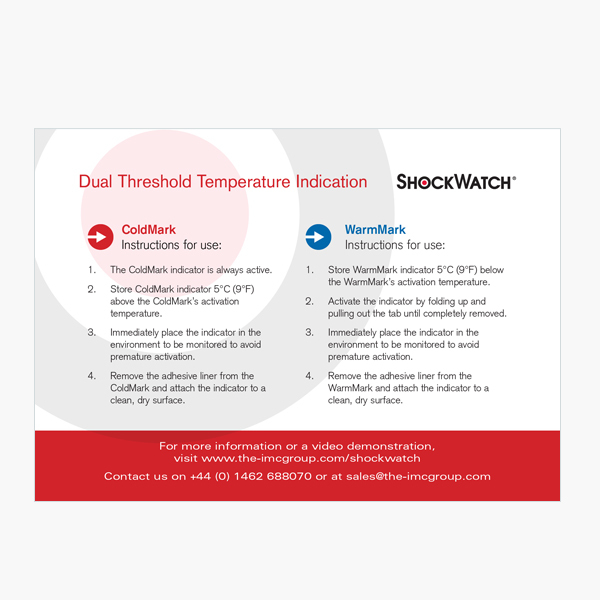 These single-use temperature indicators are specifically designed to help identify and correct gaps in their cold chains. The result is increased knowledge of your product’s environment when it is out of your sight and out of your control. That translates into improved product margins by protecting product shelf life, ensuring validated packaging is performing correctly, and reducing packaging costs. 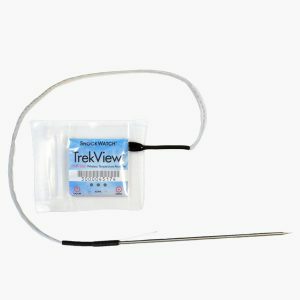 Part of the TrekView range, the TrekView Internal USB Stainless Steel Probe temperature USB data logger is a multi-use data logger in food-grade packaging. 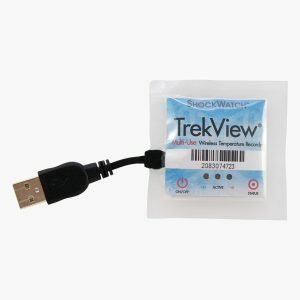 Part of the TrekView range, the TrekView External USB Temperature Recorder is a multi-use data logger in food-grade packaging. 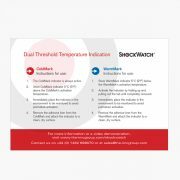 The ColdMark Freeze Indicator range provides one-off indication of a temperature breach and monitors between -3°C to +10°C. 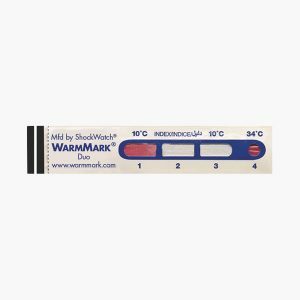 Part of the WarmMark range, the WarmMark Duo time temperature indicator has a temperature range of +10°C to +34°C and monitors the exposure and duration of a product that exceeds two activation temperature levels. Part of the WarmMark range, the WarmMark Long-Run temperature indicator has an operating temperature of +10°C to +31°C and allows for longer exposure to temperatures that exceed the threshold level. Part of the WarmMark range, the WarmMark Short-Run indicators are designed to monitor temperature and alert users if goods have been exposed to unacceptable temperatures. Various indicator temperature available from -18°C to +37°C.